The sun is out for Digbeth First Friday which takes place tonight (3rd July) – here’s a list of all the things the venues have going on from this afternoon through to 11pm tonight! 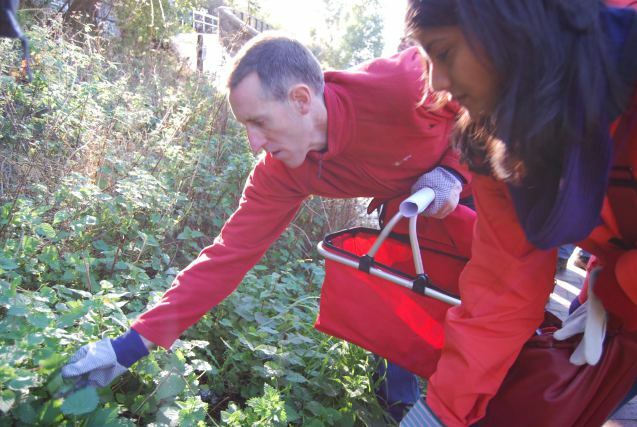 This month Edible Eastside invites people to walk along Digbeth Canals with Edible Eastside Director, Jayne Bradley and Horticulturalist Alan Bale. Enjoy the wildness and identify the edible plants and herbs that grow naturally and abundantly in Digbeth. £15 with pizza and drink. Garden is open free from 6–10pm. Join Grand Union for a late opening of Fay Nicolson’s solo exhibition. Fay has produced exquisite, rhythmic screen-prints connecting to textiles and the body for this brand new installation. Emerging artists present live performance & video exploring disjunctures and overlaps between the real and virtual curated by Christopher Liam Oakes. Fierce (Birmingham’s international festival of live art) launch the 2015 programme with a gender-blending, booty-pounding perversion of punk live set from CHRISTEENE and DJs til late. STEALTH is a new exhibition of recent work by UK and international artists critiquing surveillance culture and the invasive and pervasive technologies that shape our daily interactions. Launch Night of Loud Mouth; the newest FREE poetry night in Birmingham at The Bond Cafe Gallery. Join Poet, Ryan Murray for an incredible night of spoken word featuring an array of open mic and poet headliners Leon P and Giovanni “Spoz” Esposito. Join Eastside Projects for a last chance late night opening of Samara Scott and Roger Coward’s exhibitions with summery ‘Silks’ inspired mocktails in the Black Pleasure bar. Sentiment Art is an interactive soundscape with a wearable sensation device. Created from the voices and emotional response of fifty people, a chorus of humanity through sound and touch. Frolicking with a slightly different flavour this month, we have music round the fire, games and conversations about the AOTE live exhibition in July. This entry was posted in Art, Birmingham, Exhibitions in Birmingham and tagged Art, Birmingham, eastside projects, Edible Eastside, Fierce Festival, Grand Union. Bookmark the permalink.